A brand new showflat has been unveiled at BUREDI�s Coalhill2 development, located on the Water of Leith, signifying the final stage of the phase two project. A brand new showflat has been unveiled at BUREDI's Coalhill2 development, located on the Water of Leith, signifying the final stage of the phase two project. Built on the success of the original award-winning site, Coalhill2 retains much of the original style and feel of phase one, and spans across 39 light and spacious apartments, over five floors with apartments having lift access. Apartment 10, which has been unveiled as the latest showflat within the development, is a beautiful two bedroom example, with the main living space designed with featured curved wall and access through glazed doors to a spacious balcony. This apartment design includes a stylish kitchen, bathroom featuring hansgrohe fitments and two generous double bedrooms which have been beautifully styled in white with bold accents throughout. Only seven properties remain available for sale at the development including a one bedroom and five two bedroom apartments. For those who prefer a more lavish living environment, the last remaining three-bedroom penthouse apartment may be an ideal option. Accessible from Sheriff Brae, the new showflat also enjoys quality specification which is standard in all apartments within this development including gas central heating; secure door entry system; beautifully designed kitchens with integrated kitchen appliances supplied and fitted by leading manufacturer ALNO; heated towel rails; tiling in all en-suites and bathrooms, and thermostatically controlled showers. 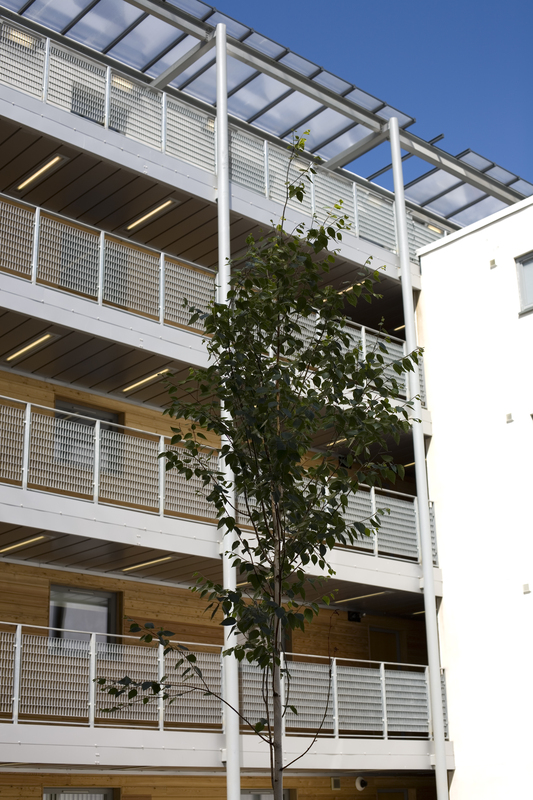 Each apartment benefits from an allocated car parking space in the secure car park located at ground level and accessed by an electronic gate. All properties are centred round a secure landscaped courtyard, some having views overlooking the Water of Leith or neighbouring parkland. The natural setting certainly makes it hard to believe that the development is situated just four miles north of Edinburgh's city centre, and in the heart of the hustle and bustle of Leith's cafÃ© bars, restaurants, hotel and leisure facilities. Designed by Allan Murray Architects - the award-winning team behind phase 1 - the impressive ï¿½8m development has already attracted a great deal of interest from potential home owners. Coalhill 2 by BUREDI is joint venture between Edinburgh's leading regeneration specialist The Burrell Company and The EDI Group. BUREDI has earned a reputation for providing some of the most sought after developments in Edinburgh. Projects include: West Bow, the former home of the Traverse Theatre; The Tron in Edinburgh's Old Town as well as the forthcoming Bells Mill development near Dean Village.